For a company that has for years been reported to be just months from annihilating Apple, Microsoft seems pretty bad at sealing the deal. The Macalope has already said the Surface Studio looks like a nice machine. It’s too bad it runs Windows. Still, if you’re a graphics professional, you would be crazy not to give it a look. But it’s not without its drawbacks (see: Windows 10) and at $3,000, it’s not going to move enough units to make a big dent. Targeting the high end is a very good first move, but that’s all it is right now. The Surface Pro Studio comes with the Surface Pen, which works with other Surface devices, and the new Surface Dial. Microsoft probably doesn't care if it sells more of its own Surface devices, or if it helps Windows OEMs sell more Surface-inspired devices. That's because most of its revenue still comes from sales of Windows licenses. So as long as Windows-powered devices dominate the PC market, Microsoft will maintain a defensible platform against iOS and Android devices. Hot takes on 2016 from a mindset mired in 1996. Microsoft absolutely cares that you buy its hardware because otherwise it has no growth. Growth in the PC market has stalled and Microsoft doesn’t compete in the mobile market. If it doesn’t steal the lunch of its OEMs, it doesn’t eat. The comparisons between Microsoft's new Surface devices and Apple's Macs look pretty dismal for the latter. The base models of Microsoft's new Surface Book and Apple's new MacBook Pro both cost about $1,500, but the&nbsp;Surface Book gets 12 hours of battery life compared to the&nbsp;MacBook Pro's 10 hours. And that’s the only difference! Well, OK, the MacBook Pro has twice the storage space and weighs a third of a pound less. But the MacBook Pro’s advantages aren’t what we’re here to discuss. Sorry, who’s mimicking what now? Sure, we all remember how the Surface came out before the iPad, right? If you don’t, just stand a little closer to this leaking gas line and you’ll remember soon enough. For many customers -- especially Apple's dedicated demographic of graphic designers -- the Surface Pro Studio likely represents what the iMacs should have already become. For many Windows customers, a touch-screen desktop operating system is the two-headed demon stepchild of computing. The Macalope isn’t saying it’s not possible to make an operating system that seamlessly works with keyboard and mouse input as well as touch, but Windows 10 certainly hasn’t proved that it is. So, what was the point of this journey of discovery from the headline to here? The friends we made along the way? This is true. 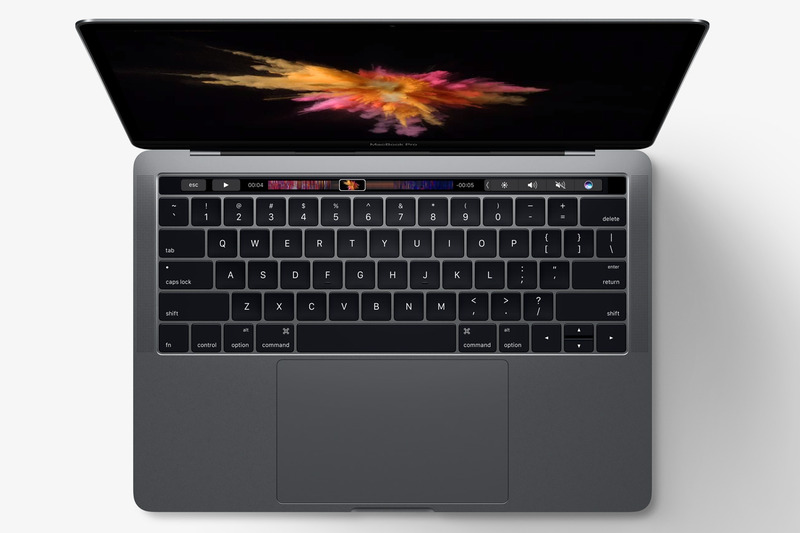 Turns out you have to make Macs to sell them. Apple has really brought some of this craziness on themselves. Unless there’s some surprise, this will be the first year the iMac has not been updated since it was introduced in 1998, the Mac mini is two years old and the Mac Pro hasn’t been updated since we were all speaking doge. The Surface Studio really isn’t going to “crush” the Mac. The only thing that’s crushing it is Apple’s lack of concern about updating it.